Honda Offers 2 Shine models in India. 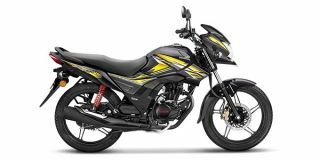 Honda CB Shine is the lowest priced model at Rs. 55,858 (Ex-Showroom) and Honda CB Shine SP is the highest priced model at Rs. 60,710 (Ex-Showroom). The Shine's refined and fuel efficient engine stands as a true testimony for the fact that the Shine is one of India's highest selling 125 cc motorcycles. The bike gives a commendable mileage of around 55- 60 kmpl and the only drawback was that the bike felt a little out of breath with the four speed gearbox. Thankfully, with the introduction of the Honda Shine SP, the issue was sorted as the bike comes with a five speed transmission. Q. What is the CBS? Q. 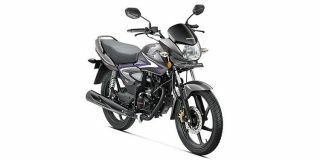 Which bike is better for me, Pulsar 150 classic or Shine SP? Q. What is the color of digital meter backlight? The Orange colour backlight digital cluster is offered on the Honda CB Shine SP. There is no other backlight option made available by the company. Q. If Honda Shine 125cc is driven continously for 65 km in single ride, will engine gice more heat or effect on foots? As a part of the update, the bike gets a revised tank design and new readouts for the instrument console. But how much more does it command? The 125cc Shine has beaten the 100cc Passion for the fourth spot in the month of April by over 20,000 units!